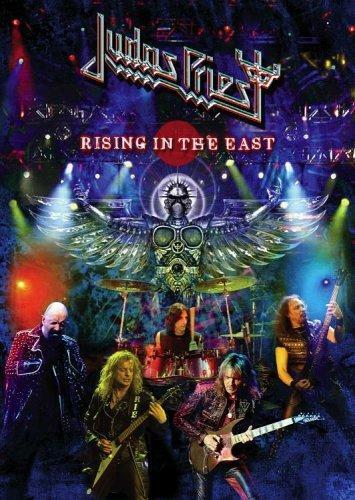 Judas Priest - "Rising In The East"
After more than 12 years, JUDAS PRIEST reunited with their original lead singer Rob Halford on the occasion of a Live-Tour in the year 2004. They played the sold-out Ozzfest tour in front of a large and enthusiastic crowd. In 2005, this original line-up of JUDAS PRIEST, by name singer Rob Halford, lead guitarists Glenn Tipton and K.K. Downing, bassman Ian Hill and drummer Scott Travis, will be the headliner of their first US-tour since the release of the album "Painkiller" in 1990.